Statistically, Peter Crouch has a better goal per game ratio with England than any of his club teams. He’s scored 22 goals in 42 games which on the international stage, is very good. His club form meant he didn’t get that many chances in England and it makes you wonder if he should have been given more games. He’s 33 years old now and his best days are way behind him. Captain of England between 2010 and 2012, Rio Ferdinand was one of the greatest defenders in the world in his prime. He made 81 appearances, managed to score 3 goals and was part of the squad named the Golden Era. He was left out of the Euro 2012 squad by Roy Hodgson and ended up retiring a year later to make room for younger players. 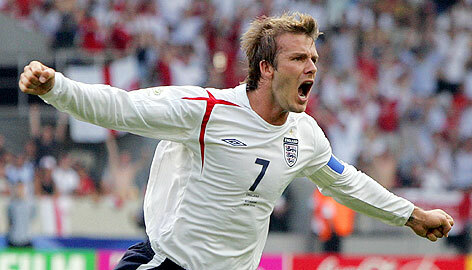 He was always passionate about England and it’s a shame he didn’t reach the 100 cap mark. Hailed as the best left back in the world in his prime, Ashley Cole holds 5th place for most appearances at 107. His tackling, heading ability and adept footballing knowledge made him a must have in the England team for 13 years, he has recently retired after being left out of the squad for younger players (although I think it’s a bad decision). He never got a goal in his England career which will be something he regrets, but he’ll go down in history as the greatest England left back of all time. One of the best midfielders of all time for club, not so much for country. Scholes managed 14 goals in 66 appearances over a 7 year spell in the England squad. The England manager at the time would play him out of position, this reduced his performances drastically and he ended up retiring early to focus on his family and his domestic club. I think if he was to have played in his natural position for England, as he should have been, he would be ranked much higher in this list. Very much a great vice-captain for club and country. He’s a natural leader, a great player and loyal. Having spent his club career as mostly vice captain, the same happened with England. He scored 29 goals in 103 appearances and that may not sound like a lot, but for a midfielder on the international stage that is a very good return. The disappointing thing is that he didn’t really fit in, he always seemed out of place but managed to contribute a lot anyway. At the age of 35 years old, he’s still the vice captain after a remarkable 15 years. Currently the joint sixth highest capped England captain, John Terry was a stalwart in defence for the Lions. 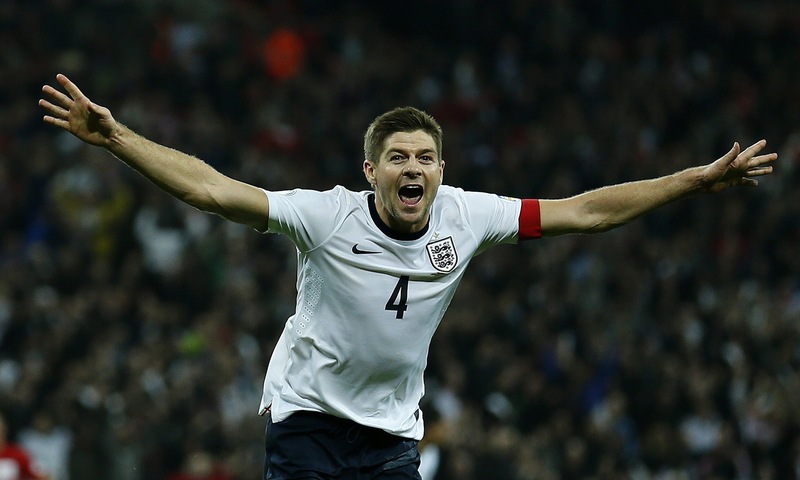 In 9 years he managed 78 caps and even 6 goals before he retired, but recently, it’s becoming more and more obvious that England need him back. His dedication was never questioned, he put everything he could just to make sure the fans didn’t have a depressing journey home (as shown here and here). At just 28 years old, Wayne Rooney has already played in two World Cups and is aiming for his third. He’s scored an exceptional 38 goals in just 89 games for England and has the potential to carry England far in to the knockout stages. Besides this, he’s said himself that he doesn’t play good enough in the bigger games, he’s used to a Manchester United team who hand him goal scoring opportunities on a plate so it’s no surprise really. He should be at his peak at the moment, he has tons of experience as well as skill so there’s no reason why he shouldn’t be headlining come World Cup. He holds the 3rd highest amount of England caps with 109 and the 5th highest England captain caps with 35, he’s been the glue to the England squad for many years and he’s still playing. Although he’s said this is the last World Cup he will take part in, he may be interested in the Euros. He’s only scored 21 goals compared to Lampard’s 29 but his ability to inspire and his general presence on the field is worth more than statistics can say. Over a 10 year England career, Michael Owen managed to score 40 goals in 89 games. Another member of the famous Golden Generation, he was the first player to score in both the old Wembley Stadium and the new one. At a time when English football was supposed to be one of the best in the world, Owen certainly did his job well. The 2nd highest capped England player with a staggering 115 caps, as well as the 4th highest capped captain with 59, Beckham is the most recognisable England player of the century. With just 17 goals you may not think that, but most of those goals came when they were really needed. He is one of the finest passers the game has seen, producing crosses from near impossible angles as well as inch perfect free kicks. At 39 years old now, he retired after playing for Paris Saint Germain and retired from international football back in 2009. Remember this list is purely by opinion and from what they’re done for their country. If it was taking club football into account then the list would be very different.